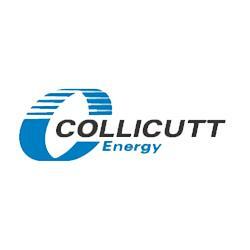 Collicutt Energy Services is the MTU OnSite Energy exclusive Authorized Distributor for California and exclusive for gas products in California, Idaho, Washington, Oregon, Northern Nevada, and Hawaii. Our US headquarters is in Santa Fe Springs, CA with satellite offices in West Sacramento covering northern California and the Bay Area, and San Diego covering all of San Diego to the Arizona border. We specialize in supporting MTU Onsite Energy equipment and providing parts and premium service for MTU systems. We are passionate about service excellence and focused on building longstanding dependable relationships with our customers while we are vigilant on our commitment to safety, quality and timeliness. Collicutt Energy Services is a member of the U.S. Environmental Protection Agency’s Combined Heat and Power Partnership, which is committed to improving the efficiency of the nation’s energy infrastructure and reducing emissions of pollutants and greenhouse gases.